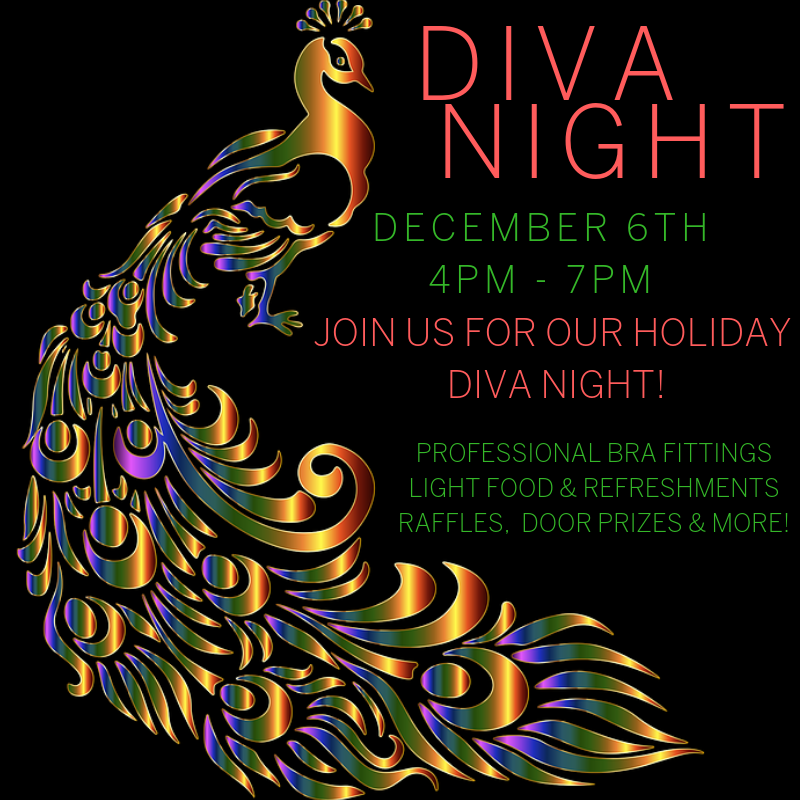 JOIN US FOR OUR ANNUAL DIVA NIGHT! Holiday Themed! Thursday, December 6th from 4pm - 7pm, in our store! CLICK HERE TO REGISTER! DOOR PRIZES, RAFFLES, PROFESSIONAL BRA FITTINGS, AND SO MUCH MORE! A special thanks to our Sponsors & Event Donators: MD Cryotherapy, Chiro1st, Fresh Market, On Running, Superfeet, Handful Bras, Saucony, Megan Donovan Swonger, P.A. Chrio 1st will be demoing Hypervolt, Fascial Stretch, Normatec Boots, doing assessments, and more! We will also have our very own PA here to talk about Women's Health and provide advise on self checks.